Today, expert witnesses will begin to present evidence to the Grenfell Tower inquiry in Holborn, London: here’s everything you need to know about the inquiry so far and what’s yet to come. 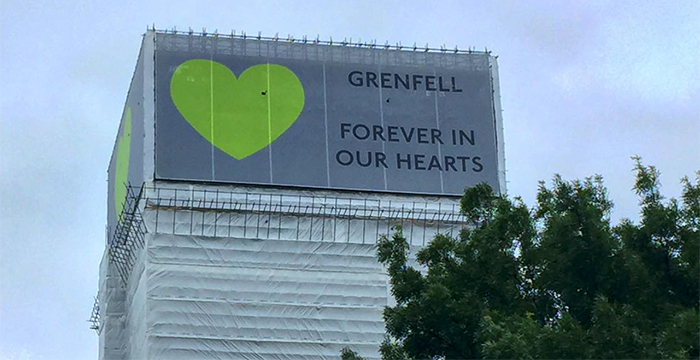 The inquiry was announced by the Prime Minister one day after the tragic Grenfell fire, which killed 72 people and left many more injured and/or homeless. Its chair, Sir Martin Moore-Bick, was revealed a few weeks later. Moore-Bick, 71, was an appeal judge until his retirement in 2016, having before then practised as a barrister in commercial and shipping law. The Cambridge graduate was called to the bar in 1969 and made silk in 1986. His appointment to the inquiry wasn’t without controversy, this largely to do with a judgment he’d given in 2014 which allowed Westminster Council to rehouse a single mother of five children 50 miles away. The decision was overruled in 2015. The inquiry was opened on 14 September 2017, with procedural hearings completed in December 2017 and March this year. Now, we’re at the “phase 1 evidence” stage. This began late last month with seven days of commemoration hearings, at which tributes were paid to the victims. He touched on what would be covered in the inquiry, including: the combustible materials in the tower block and the fire brigade’s response. Millet is assisted by Bernard Richmond QC, Lamb Building, Kate Grange QC, 39 Essex Chambers and Andrew Kinnier QC, Henderson Chambers. A team of 14 junior barristers and nine solicitors are also supporting the inquiry, as is a document review team of ten junior barristers and 15 paralegals. On day two, lawyers representing groups of ‘BSRs’ — bereaved, survivors and residents — addressed the inquiry. Lawyers for these groups include: Danny Friedman QC, Matrix Chambers, Michael Mansfield QC, Nexus Chambers, Sam Stein QC, Nexus Chambers, Stephanie Bardwise QC, Atkin Chambers, and Imran Khan QC. There was plenty of criticism directed at fire brigade’s ‘stay put’ policy here. For two hours, the fire service advised residents to stay in their flats, eventually changing its guidance at 2:47am. Before that time, 187 Grenfell occupants made it out of the building. After, only 36 people escaped. The Metropolitan Police is investigating whether this broke health and safety law. Maxwell-Scott said his client recognises it’s seen as the “public face” of this disaster, but that it wasn’t a council that sought to “build on the cheap”. Blame was shifted to a tenant management organisation, ‘the TMO’ (represented by James Ageros QC of the same chambers). Ageros, however, said refurbishment work was contracted out to other organisations, that the cladding system had been shown to the council several times before it was installed, and that “numerous” high-rise buildings “were clad in similar materials”. A number of organisations on day four appeared under the ‘fire brigade’ umbrella: the Fire Brigades Union (represented by Martin Seaward), the Fire Officers Association (Louis Browne QC) and the London Fire Brigade (Stephen Walsh QC). The London Fire Brigade also stressed firefighters wouldn’t have been aware of the “defects” in the building’s materials, such as its cladding, which have only come to light since the fire. The brigade received more calls for fire survival guidance from Grenfell residents on 14 June 2017 than from the whole of London in the past decade. Today marks day one of the expert witness presentations, which are expected to take three days. After that, the inquiry will hear evidence about the outbreak of the fire and the response from the emergency services in its initial stages. Then, it’s expected the whole of July will be dedicated to “remaining firefighter evidence”, this including: search and rescue, fire brigade control room staff, and commanders who were responsible for decisions taken that night. After a break in August, the inquiry will reconvene to hear evidence from BSR groups, scheduled to last four weeks, followed by “other” witness evidence. The inquiry’s expected to close in October, with expert witness evidence and closing statements. Should there be criminal liability for corporations?